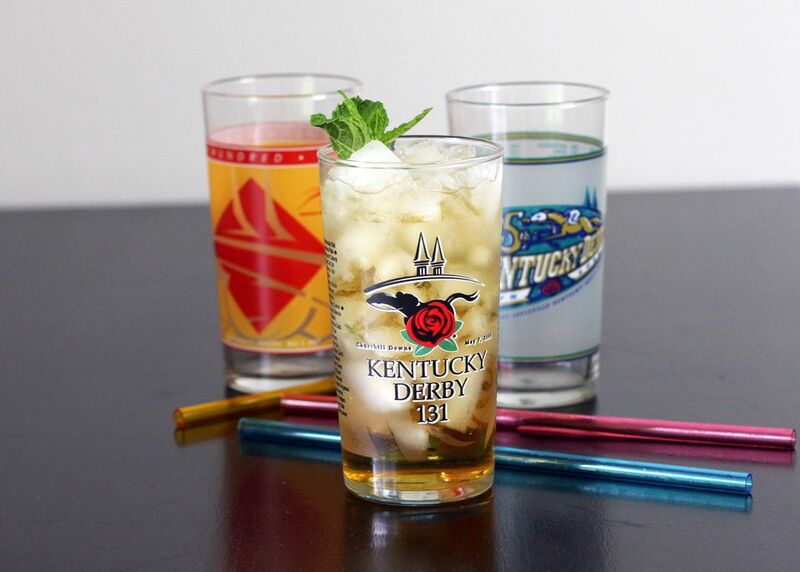 There are many recipes for mint juleps, and this is one served in several restaurants around the state of Kentucky. It is traditionally enjoyed when served in a silver julep cup but feel free to serve it in glass tumblers. The simple syrup is enough for about 3 dozen drinks, but can easily be cut in half. Leftover syrup stored in the refrigerator should be good for up to 3 weeks. First, make the simple syrup by heating the water. Whisk in sugar and heat until sugar is dissolved. Add mint and let the mixture steep for 20 to 30 minutes. Add cracked or crushed ice to Julep tumbler or glass. Add 1 1/2 ounces of Kentucky Bourbon. Add 2 1/2 teaspoons syrup, or to taste. Stir lightly. Garnish with fresh mint leaf and serve with a straw.